IPTV is getting ever more popular, liberating users from expensive contracts and limited content. The average cable bill in the US is currently about $99 a month according to NBC News – that’s a rise of about 8 percent each year since 2010. That is $99 you are spending on top of your mobile phone and internet bill! Additionally, regional broadcasting rights may prevent you from viewing your favorite content in your home country. So, you are looking to give up on expensive cable or satellite! You are in luck, there is a new way of watching your favorite movies and sports broadcasts. Continue reading to find out how you can stream all the media content at a significantly lower price with greater convenience. Do You Need a VPN for IPTV? This means that entertainment content can now be broadcasted and received by anyone with an Internet connection. This gives rise to greater competition and lower prices. More importantly, it allows for a greater user experience, empowering you to watch what you want and when you want. You are not watching media on a receiver anymore, you have an entertainment center at your fingertips. “This IPTV stuff sounds complicated” is a common reaction. IPTV itself may very well be highly technical and difficult to set up. The good news is: There are a number of plug-and-play solutions out there that require no experience or configuration whatsoever. It is as easy as plugging a box into your TV and sitting down on your couch. Further below we will look at the different kind of set-top boxes available and which devices you should choose. Let us have a look at the main advantages and disadvantages of these devices. We will keep this very short: They are garbage for streaming! Limited processing power, slow navigation and few options for customization, for the most part, disqualify SmartTVs as streaming devices. Most noteworthy, they do not stream out of the box and will need additional configuration. You buy a TV to display an image, that is what they do best. IPTV is not their strength. The main advantage of using a mobile phone or tablet for streaming is that you don’t have to buy another device. They have ample processing power for streaming and are very intuitive to use thanks to their touch screens. The main drawback is, of course, the small screen size. Would you rather watch a movie on your iPhone or your big screen television in the living room? Also, not all content providers develop apps for live streaming. You are mostly limited to video on demand streaming and won’t find a great selection of live television channels. Lastly, they are not pre-configured to stream out of the box, however, installing additional applications is easy if you know what you are looking for. In case you do opt to use your existing tablet or mobile phone for streaming, we highly recommend taking advantage of a screen mirroring device. These allow you to send your mobile device’s screen contents to your television wirelessly to enjoy the big picture experience. Our top pick is without a doubt the Roku Streaming Stick. Apple users will have to shell out a bit more cash and get the Apple TV. If you are already using streaming apps on your phone and just look to improve the experience, screen mirroring is a good choice. However, this solution will not replace your existing cable subscription and you will soon outgrow your setup. The best experience is to available on the purpose-built set-top boxes. Contrary to SmartTVs and your everyday cell phone and tablet, set-top boxes are designed to do one thing: Stream media. And boy are they good at it! There are countless different boxes out there, from small Chinese no-name brands to flagship devices from tech giants. 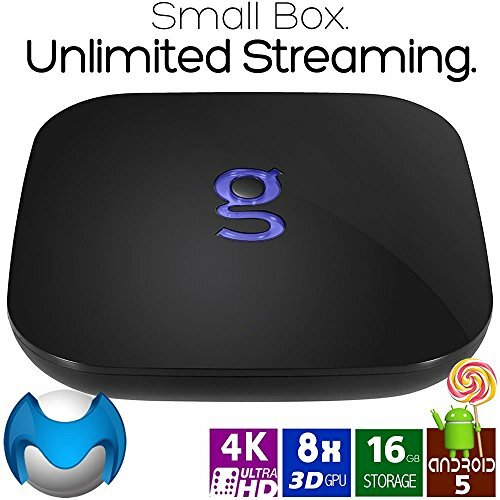 We will be looking at three different types of streaming boxes: Generic Android boxes, IPTV set-top boxes and dedicated video on demand Android TV boxes. Common to all three are their plug-n-play ease of use, user interfaces that are focused on streaming, vast entertainment content, user-friendliness and superior performance compared to the previously listed devices. Setting up these boxes is as easy as connecting them to your TV via HDMI and plugging in the power. Android TV Boxes are very similar to mobile phones in that they run on Android OS on top of Linux. They are basically a small and surprisingly powerful personal computer in a small box that you can easily hide out of sight in your living room. Because these devices run on Android, they are extremely versatile allowing to do much more than just stream IPTV. You can use them to surf the web, play games, run office applications and much more. These small powerhouses are truly a jack of all trades. What makes Android Boxes so great as an entertainment hub is their affordability and flexibility. There are dozens of Android TV boxes for under $50 that can stream 4K content without issues. For a couple of dollars more, the mid to high-end devices provide as much processing power and memory as modern computers, allowing you to enjoy gaming (with the right gamepad) or watch content in HDR. If you prefer to not have a clunky box in your living room, you can also use an Android TV Stick as your multimedia hub. All of these devices give you access to the Android Play store. There, you can download millions of apps to expand the capability of your device. One app you will come across a lot is Kodi. Kodi is a media center with incredible functionality and thousands of plugins that allow you to stream any content you want, from movies to TV shows, all free of charge. However, since many of these plugins are free, their reliability is very limited. A much better option for streaming is using paid IPTV services. Of course, there are many apps in the Android Play store that allow you to enjoy IPTV streaming on your Android box, such as the STB Emulator or the excellent Perfect Player. A word of caution, though; there are more Android TV boxes available than most readers could fit in their living room. And the quality of these devices varies wildly. We don’t want you to end up with a box that only provides menus in Chinese language or that constantly buffers during playback. As with many things in life, you get what you pay for. Minix Neo U9-H (Full Review): High-end Android box that brings smooth 4K and HDR video playback to the table. Thanks to its top specs, the Minix Neo U9-H performs incredibly well and has one of the most respected companies behind it. This is important as it ensures that you get timely software updates. We only wished it came with USB 3.0 support. Apart from that, this Android box is a great and versatile streaming box for anyone. GooBang Doo XB-III (Full Review): The recently released XB-III comes with Android 7 installed, setting it apart from many of the older TV boxes that run on Android 6 (like the Minix Neo U9-H). This ensures maximum compatibility with apps and guarantees that the XB-III won’t become obsolete for many more years, even if GooBang Doo didn’t release an OS update down the line. In terms of streaming, the XB-III is as capable as the U9-H with full 4K support. Minix Neo U1 (Full Review): This neat little box is easier on your wallet than the previous devices, yet packs a serious punch. It supports 4k video playback and comes with a great keyboard remote. However, it runs on the older Android 5 version. Like the previous Android boxes, the U1 has an external antenna giving it great wireless coverage. Matricom G-Box Q2 (Full Review): The G-Box is slightly cheaper than the Neo U1, yet provides very similar specs and performance. 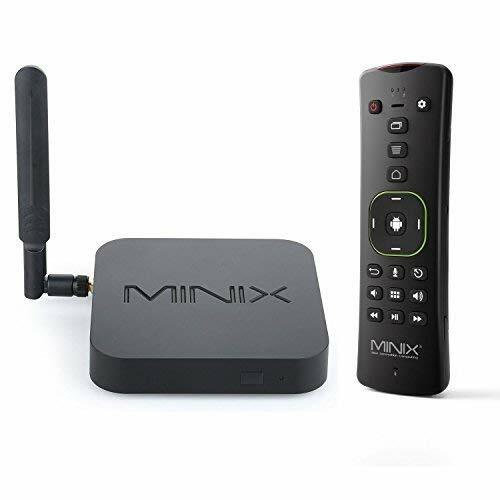 You don’t get the versatile keyboard remote that the Minix comes with so you might want to invest in a wireless keyboard or a better remote. We really love the sleek design of this box and the responsiveness of the interface. The downside to 99% of these affordable devices is that they run on Android OS that is designed for phones and tablets. 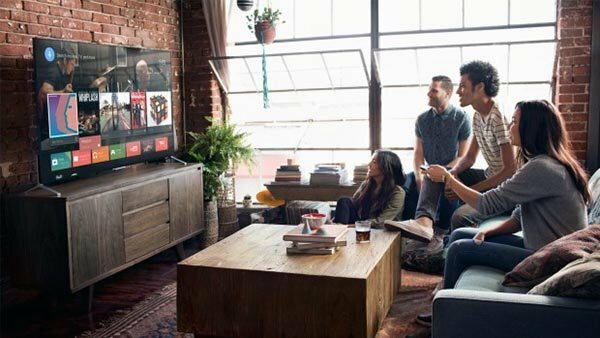 While they are still fully functional, this can cause issues when it comes to DRM and trying to stream 4K content from some services, such as Netflix or Youtube. The difference between Android TV OS and Android OS is that the former is optimized for big-screen use and fully supports high-resolution streaming. On top of that, every device needs Android TV certification to ensure the best user experience. Android OS, on the other hand, is designed for devices with touch screens and lower resolutions and screen sizes. It can be freely installed by anyone which explains why all generic Android boxes come with Android OS. Probably the most popular Android TV OS streaming boxes are the NVIDIA Shield TV or the cheaper MiBox. We briefly mentioned Kodi before. 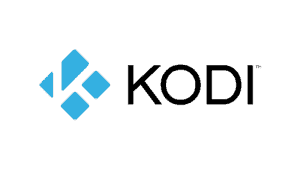 Kodi is an application that plays and manages nearly any media. Local video files, pictures, remote streams, audio, pretty much any file format that you throw at it is supported. More importantly, Kodi supports third-party plugins or add-ons to expand the core functionality. Because Kodi is free, can be installed on virtually any device and is super easy to use, it is the most widely used media center in the world. And, it has the biggest support from third-parties, enabling free (and paid) movie and TV streaming on any device for any user with a tiny bit of technical know-how. However, because most plugins are free, they operate on a best effort basis. For casual streaming on your laptop, this may be good enough. But, in our opinion, Kodi can’t liberate you from your expensive cable subscription or able to help you cut the cord. It isn’t reliable enough, it takes some time to set up and keeping it up and running and services regularly go down. With that being said, many IPTV services provide plugins of their own for Kodi, combining the best of both worlds: The powerful media playback from Kodi, and the reliability of a premium IPTV service. In this category, there is really just one type of IPTV box that you should consider, the MAG 256 from Infomir. It is a set top box running Linux that supports connecting to streams using the Stalker middleware. Stalker is a common IPTV technology used by virtually all IPTV services, allowing for a cable-like experience. The MAG 256 connects to a stalker portal you subscribed to in order to receive an IPTV channel list and program information, this is then displayed on the screen as an Electronic Programme Guide, making it very easy to browse an on-screen list of channels and program information, such as a TV guide. You are free to pick a streaming service that best fits your channel preferences and switching the provider is easy. Read our review of the best IPTV service providers. 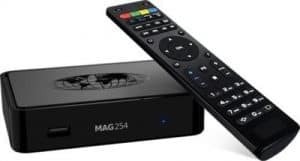 IPTV streaming with a MAG 256 arguably provides the best picture quality and reliability, however, it might be too much of a hassle for some to set up. Also keep in mind, that you will need to subscribe to a stalker portal that provides the TV channel streams. However, that cost is a lot lower than your typical cable plan. The only real downside to using a MAG for IPTV is that it only really does IPTV streaming well. Since it runs on Linux, you don’t have the luxury of installing additional apps, you can’t even run Kodi on it. So, if you are only looking to stream via Stalker, the MAG 256 is the way to go. 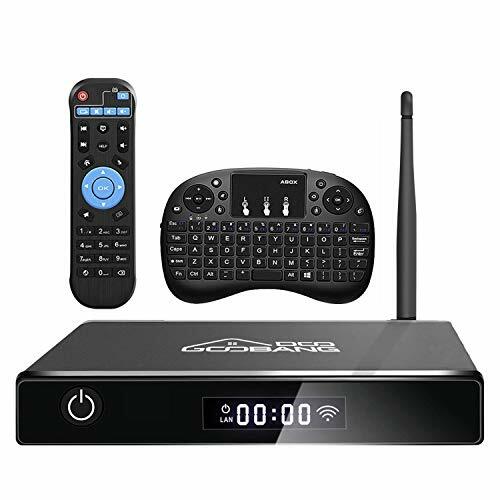 However, if you seek more versatility, the next category, the Hybrid Android IPTV Set-Top boxes might be the perfect solution for you. These devices run on Android, yet still provide native IPTV support in the form of a dedicated app. The native Stalker middleware support what sets them apart from “normal” Android TV boxes (which rely on third-party MAG emulators to connect to Stalker portals). At the same time, because they run on Android and have app support, they are much more versatile than Infomir’s MAG 256. There aren’t many options in this category, but each of these boxes is very popular with IPTV users. If we had to pick one, we would go with the Formuler Z7+ that was released only recently and runs on a fairly recent Android version. These are the big names in the streaming set-top box world, in many cases multi-billion dollar companies providing both hardware and a subscription-based streaming service. They are best for video on demand, allowing you to watch movies and TV shows whenever you want from a huge catalog of content. Amazon Fire TV (Full Review): Amazon Fire TV is our top pick of the video on demand boxes. It is easy to set up, has a great interface and even supports voice commands. Be sure to sign up for Prime to get access to unlimited entertainment. 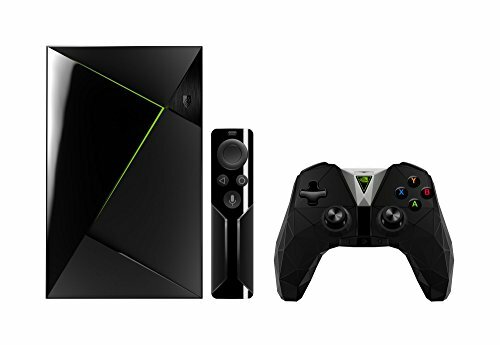 Another Android TV box, one that actually runs the official Android OS and also doubles as a gaming console is the Nvidia Shield TV. 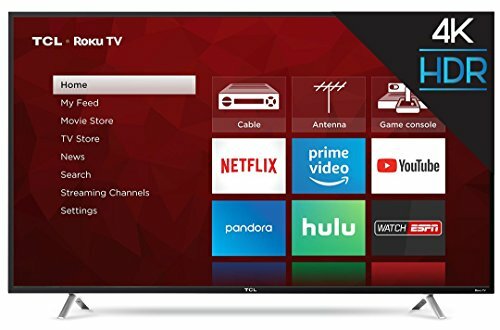 It is definitely not a cheap box but packs an incredible punch that allows you to play exclusive Android games on your TV. On top of that, you have access to all the popular on-demand apps like Netflix and Hulu. 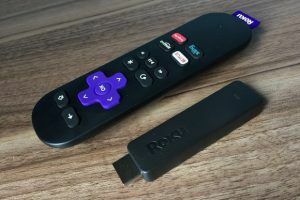 Roku Ultra (Full Review): Roku runs on its own OS and provides a very open ecosystem that leverages third-party streaming services, like Netflix, Amazon Video or Hulu, really well. Unlike some other premium streaming boxes, it doesn’t try to sell you its own subscription. Stream thousands of live TV channels and video-on-demand on your Android Box with these IPTV providers. We recommend Vaders from IP2Box or Insight IPTV as a first provider. Whichever path you take, an on-demand service like Amazon Prime, or a premium IPTV provider like Epicstream, be sure to make use of trials! This way you can ensure that the content fits your needs and everything runs as you would expect. 4K streaming is still in its infancy and demands higher subscription prices for some services (e.g. Netflix). 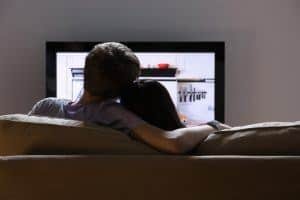 However, with modern households getting ever faster Internet connections, streaming 4K content is becoming increasingly popular. The big mainstream streaming services like Netflix, Amazon Video and Youtube are slowly building up their 4K content catalog. How about IPTV streaming providers like Epicstream? The answer is, no. 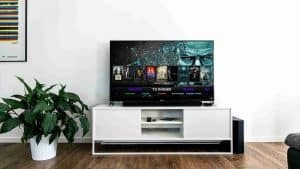 IPTV services are still quite far a few years away from providing 4K streams, simply because the bandwidth requirements are huge for 4K streaming. Internet Service Providers throttling or even blocking certain sites and services: Some ISPs block IPTV services (predominantly in the UK) or throttle IPTV traffic on their networks. 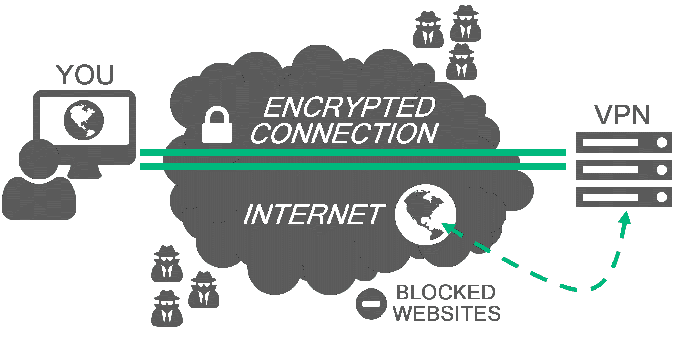 Using a VPN avoids this due to ISPs not being able to decipher what services you are using and whether you are streaming video content or just downloading a file. Some streaming services (Hulu, Netflix, BBC iPlayer etc) serve different content in different regions of the world or don’t work in some regions at all. With a VPN, you can connect to a server in the UK, US or any other place, before accessing the streaming services. This essentially spoofs your location and allows you to access e.g. UK content from anywhere in the world. Additionally, VPN connections can help reduce connection issues, such as buffering, by giving you a tunnel connection to a server that is close to the streaming service’s location, optimizing data transfer. Last, but certainly not least, with all the news about spying programs and governments and law enforcement agencies collecting data on citizens, VPNs give you privacy and peace of mind! You can check out some more information on this topic on our post on 4 reasons why you need a VPN. If you haven’t done so already, you should check out PureVPN. We have been using them for a while now for all our streaming and have only good things to say about them. For just $2 per month, getting a VPN should be a no-brainer. 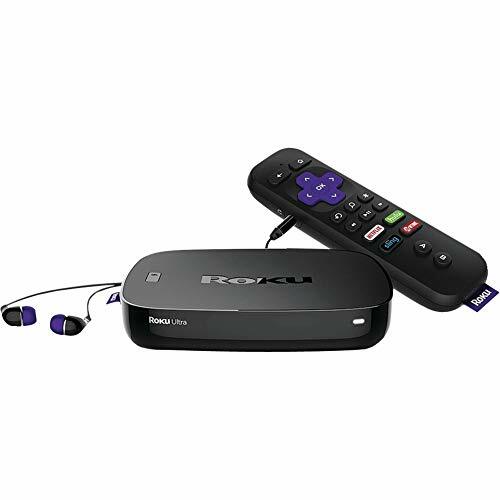 When considering to buy a streaming multimedia box, decide on what kind of content you are mostly after. If you are looking for live television similar to what your existing cable subscription provides, your best bet is the MAG 256. 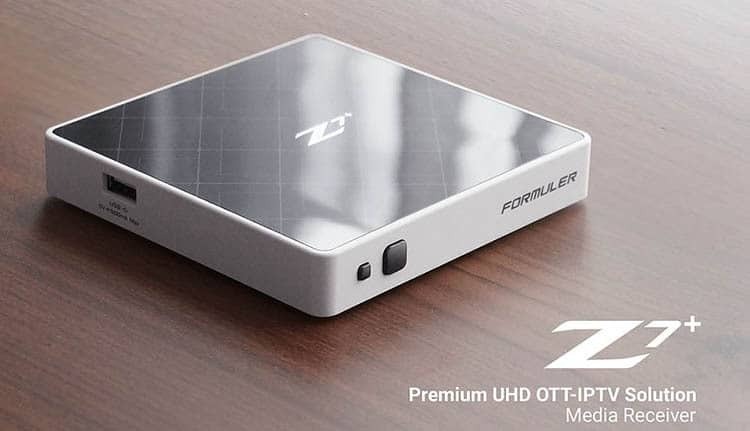 If you want to take advantage of native Stalker IPTV support, but still want to be able to install additional apps, your best option would be the Formuler Z7+. 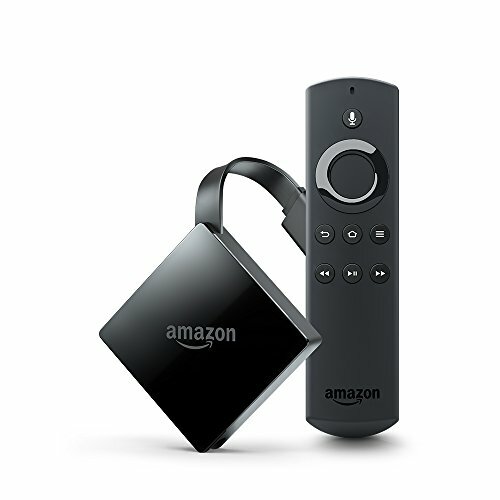 However, if your focus is primarily on video on demand, you can’t go wrong with Amazon Fire TV. For those that have a slightly bigger budget and seek a more powerful and versatile Android TV box, the Nvidia Shield TV is the way to go. This device also doubles as a gaming console. 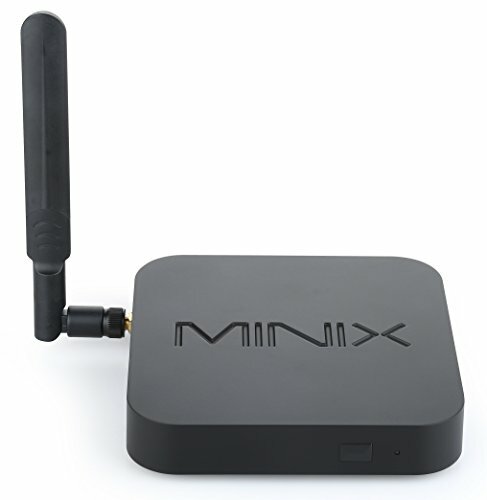 Finally, for those on a tight budget, the more generic Android boxes like the Minix Neo U9-H or GooBang Doo XB-III provide great value for money. Another thing to consider is your internet connection. Because all video content is streamed over the internet, you need a connection that can keep up with all this data. We recommend at least 10 Mbps to achieve a smooth streaming experience. Read our guide on how to optimize your WiFi for streaming if you are using a wireless connection to the internet. Finally, keep in mind that there are numerous companies out there that advertise IPTV boxes. Do your research and remember: If something sounds too good (or cheap) to be true, it probably is!